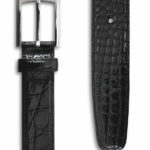 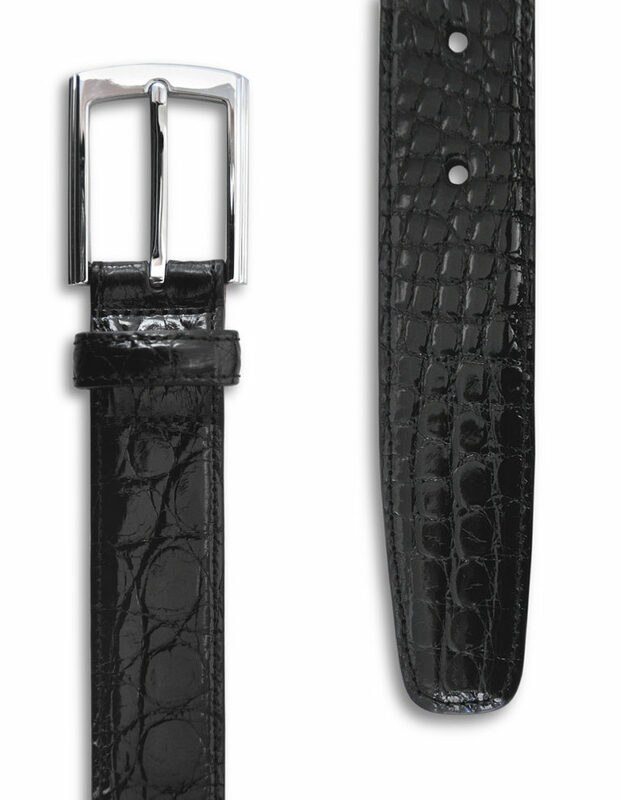 Genuine crocodile belt in black is the epitome of elegance. 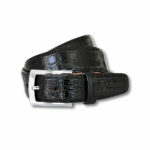 OLIMPO discreetly engraved on the nickel buckle. 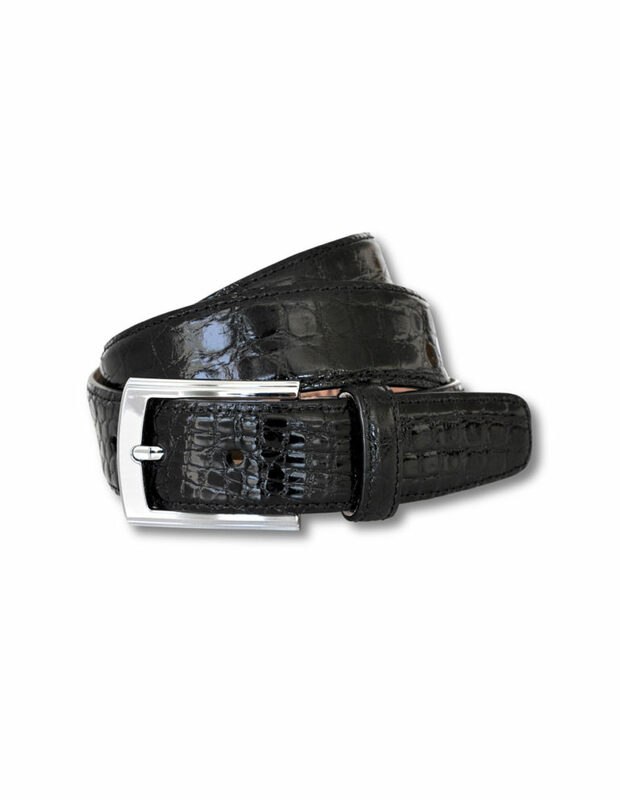 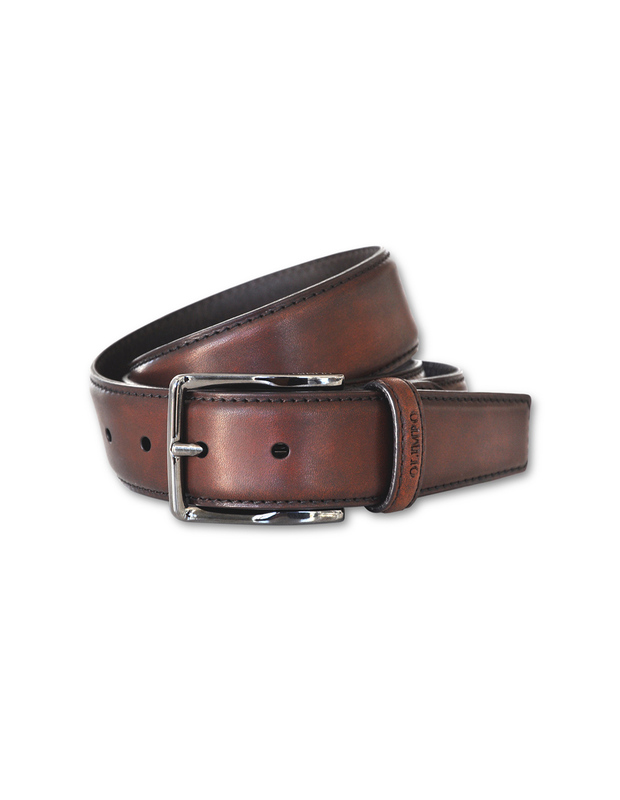 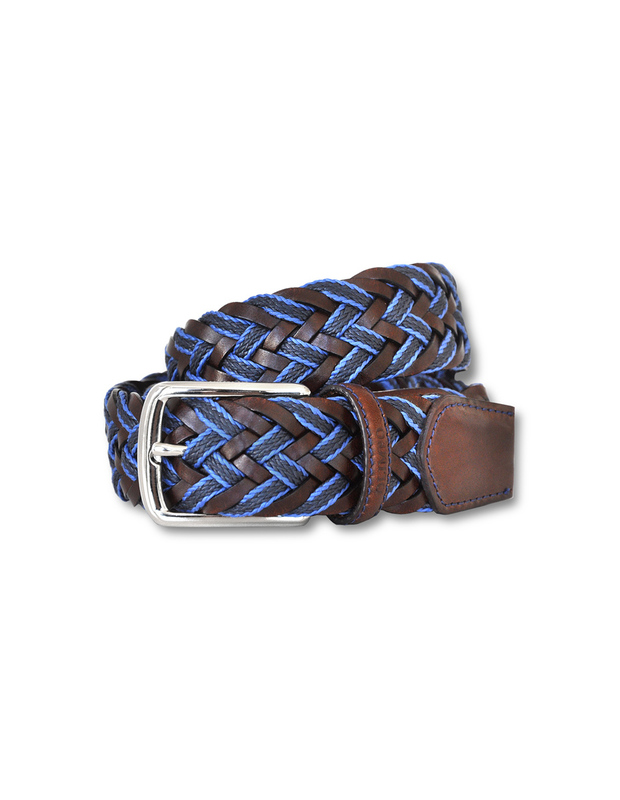 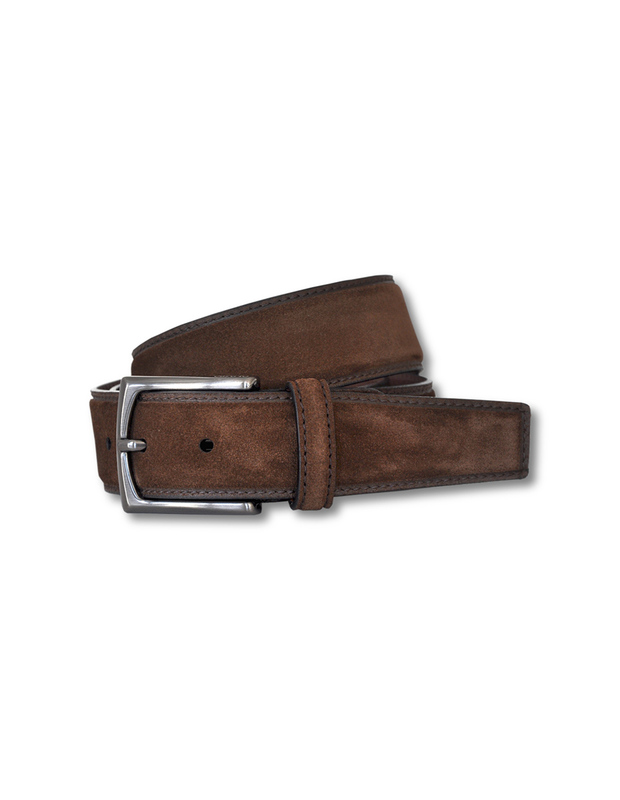 Belt made with genuine crocodile belly skin, attained using a vegetable-based tanning process. 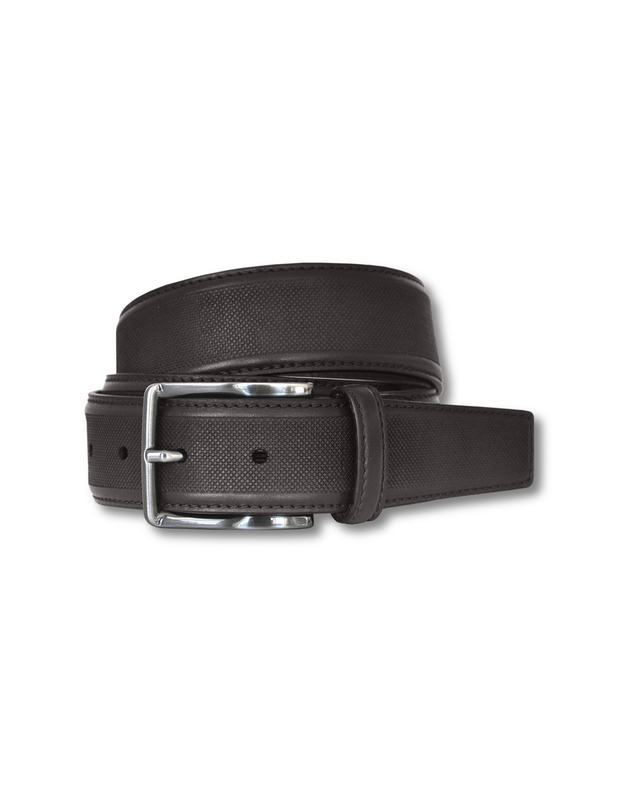 This classic beauty is highly valued for its smoothness, thinness and durability. 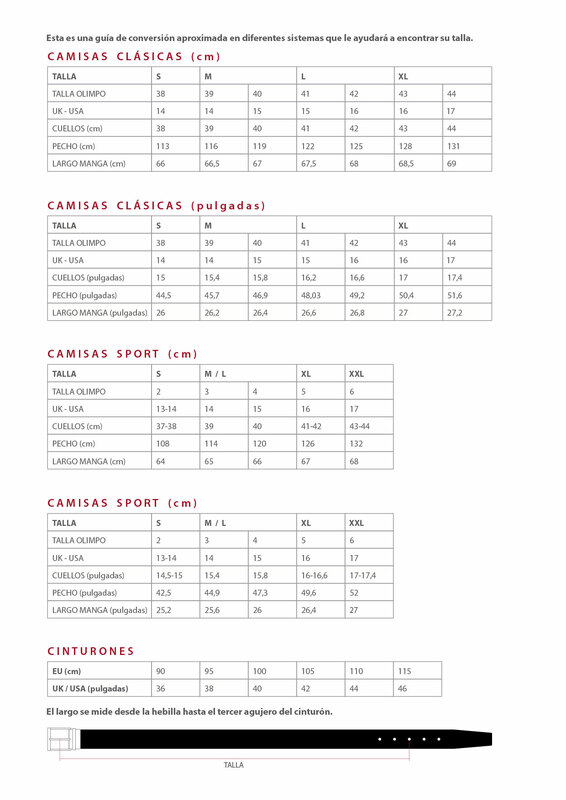 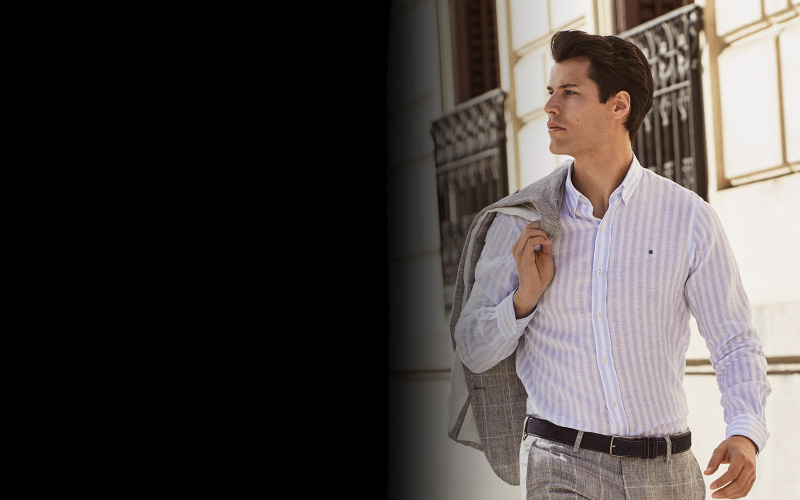 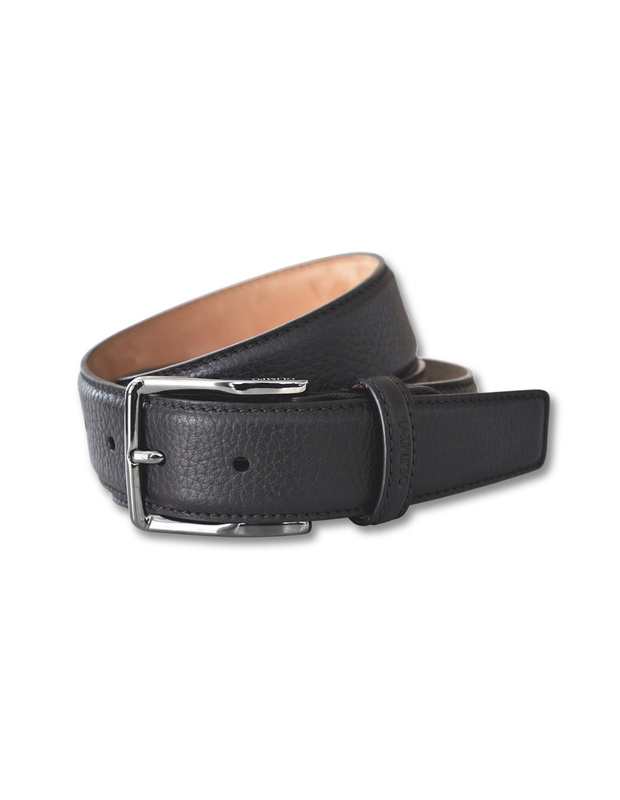 The lining is made of natural nubuck calfskin, the belt stitching consists of seven stitches every two centimeters. 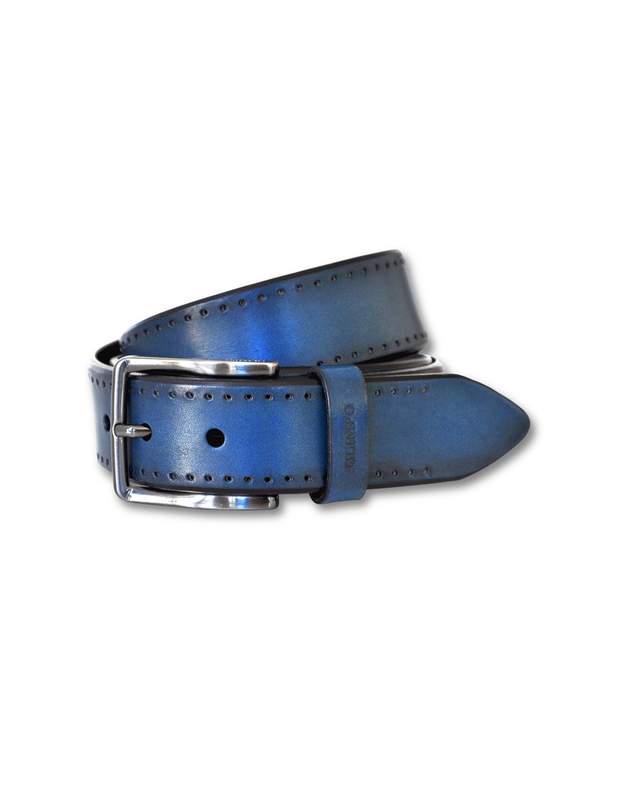 Palladium plated brass buckle.